As reported by Fang's Bites, Matt Sarzyniak, and John Ourand, regional Comcast Sports Net channels have stopped carrying programming distributed by Fox Sports Net. This means those Comcast networks won't be getting The Dan Patrick Show, college football this fall, and other FSN programming. It's an interesting development in the cable world because Fox and Comcast are the two major sources of regional and local sports telecasts nationwide. 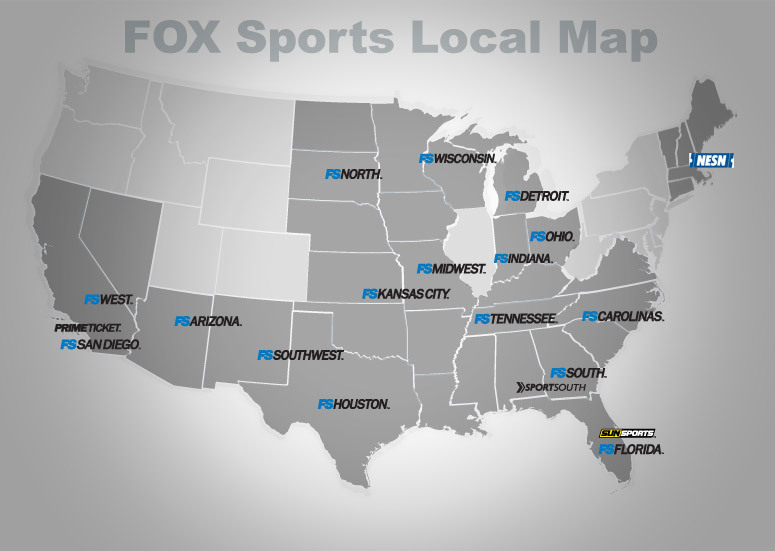 Many MLB, NHL, and NBA teams play their games locally on either FSN or CSN affiliates. The next steps in this case should be worth following. Will Comcast continue to double down on RSNs across the country? Will they reach a distribution agreement with Fox? Will we see Comcast and NBC's partnership continue a national and regional push on the cable sports front? There was a time when most all of those local local cable networks were FSNs. 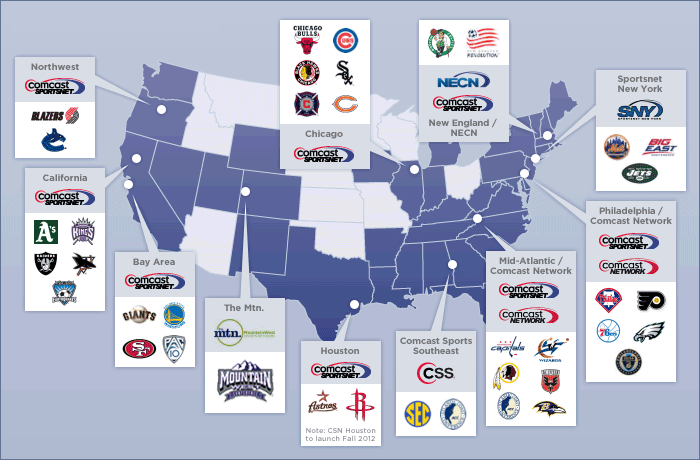 New England, the Bay Area, and Chicago were examples of major FSN affiliates that later became Comcast networks. In fact, there was a time when Fox Sports Net was serious about being a national alternative to ESPN. Maybe some of our audience is old enough to remember shows like The Best Damn Sports Show, Period or the National Sports Report. (Whatever happened to Van Earl Wright anyways?) Those were shows that aired across the FSNs but spoke to a national audience. Fox doesn't have that presence anymore and reports of a national cable sports network from News Corp. are just bubbling beneath the surface. Let's be honest – unless you watch your local pro or college team on it, or follow your local Fox Sports _____ Girls, Fox Sports Net is an afterthought. Fox's national strategy in terms of cable sports is a huge unknown. The national and regional pendulum has swung in the direction of Comcast as NBC/Comcast looks to use some of its regional capabilities to bolster NBC Sports Network and grow its own empire. How successful those Comcast regionals can work together with NBCSN and within NBC Sports Group as a whole could go a long way in determining their collective success.